Update: Apples & Beer? Silly citizens, APRIL FOOLS! We’d never imagine abandoning bananas and champagne! After careful consideration, we have decided to retire our classic bananas and champagne logo for a more updated look. 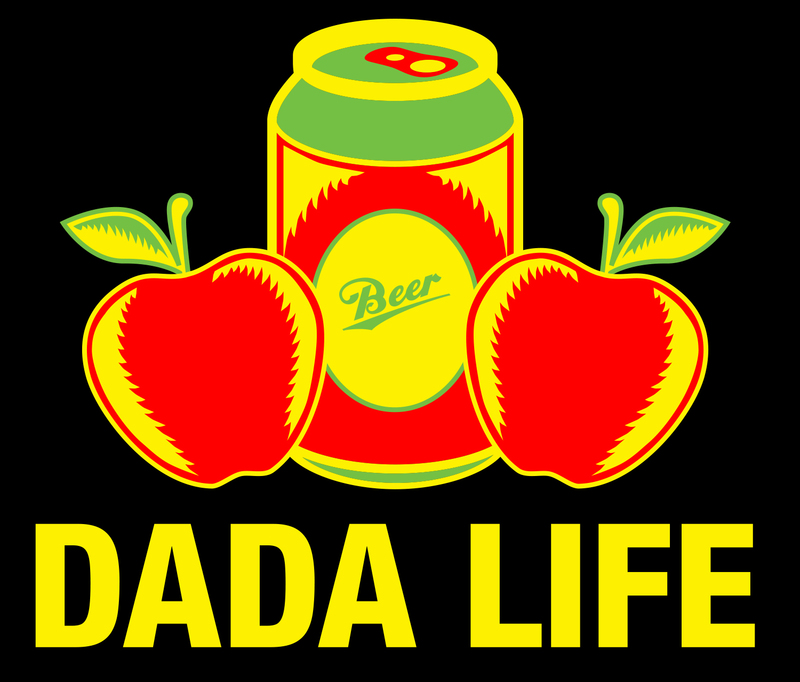 We considered many options and after much deliberation we have decided to rebrand ourselves to apples and beer. We hope you guys enjoy our new logo as much as we do and we look forward to everything 2014 has in store. When we think of Dada Life we’ll always think of bananas & champagne but this is a fresh, cool, new logo! Kudos, baby, kudos.